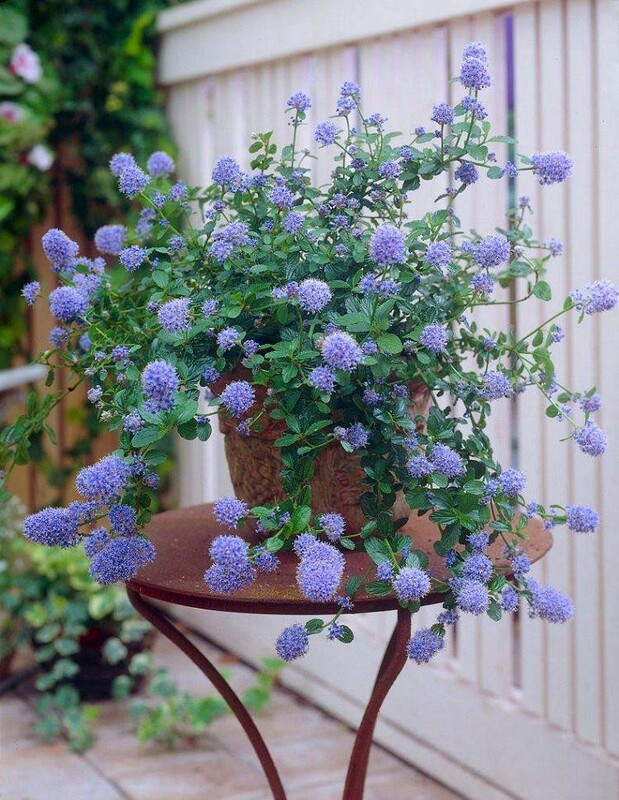 In late spring to summer, this fantastic evergreen shrub is smothered in fluffy, powder-blue flowers. 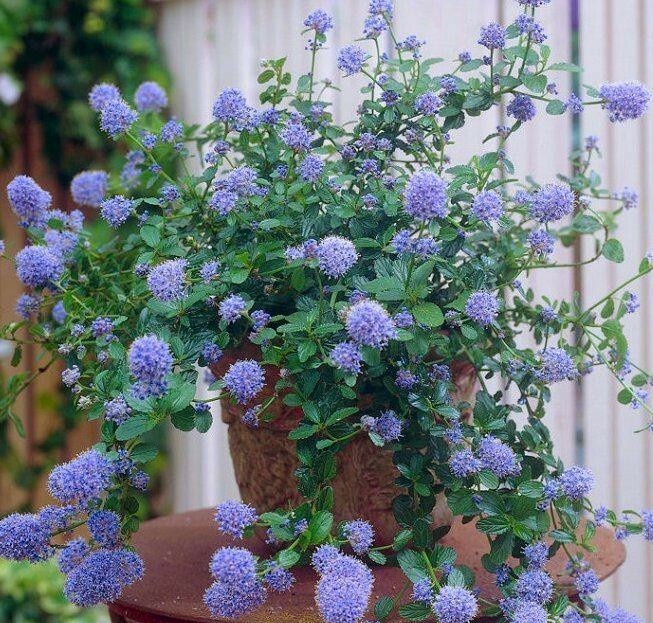 The plants attractive evergreen foliage almost vanishes under the sea of blue blossoms. It is easy to grow and care for, and forms a natural mound, making it an ideal candidate for a mixed border with other shrubs and perennials. It can also be used to great effect to form a compact low hedge, or even in patio planters. When out of flower, the dark green leaves which are small, neat and evergreen form an attractive foil to other plants. 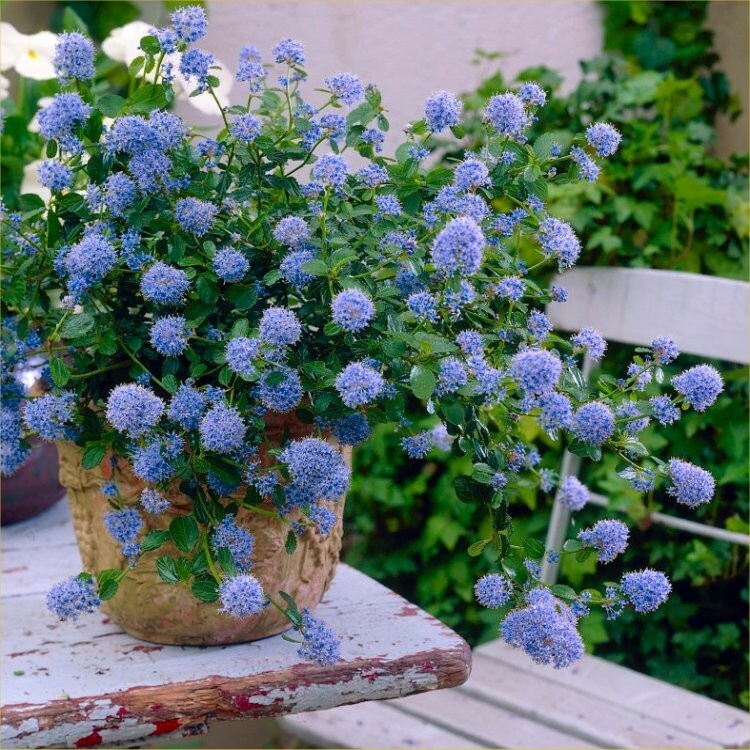 Larger sized strong plants in approx 5 litre containers, full of buds and blooms in season.